This past weekend, I made a mad dash back to WV for a friend from college's wedding. I drove to Princeton Friday night and stayed at my parents. Saturday morning my mom (aka my wedding date) and I made a little detour and went by the hospital in Charleston to see Lauren after she had Baby Logan. Then, we made our way on up to Morgantown... after of course, a stop at the Everything Fiesta! store in Flatwoods. I have always loved this store and have stopped their countless times on my many trips to and from Morgantown. When I first started getting into Fiesta, I would stop there and buy 1 or 2 things and have slowly built up my collection. Such a fun, beautiful, bright store!! I think their Christmas Fiesta is a little on the plain side but decided to get a few of the serving side pieces to use with my everyday Fiesta during the holidays. I don't understand why they put the tree on the bottom of the plates and then it's just covered up with food! 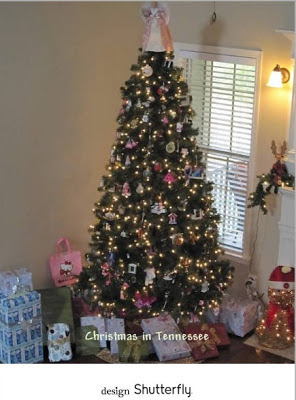 Regardless, it will make up a cute table come the holidays. 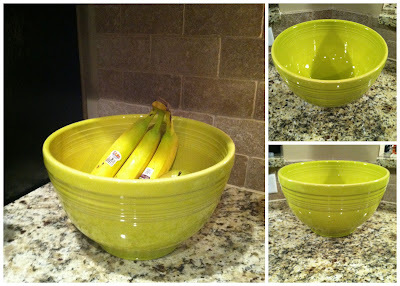 I also picked up this large mixing bowl to use as a fruit bowl. 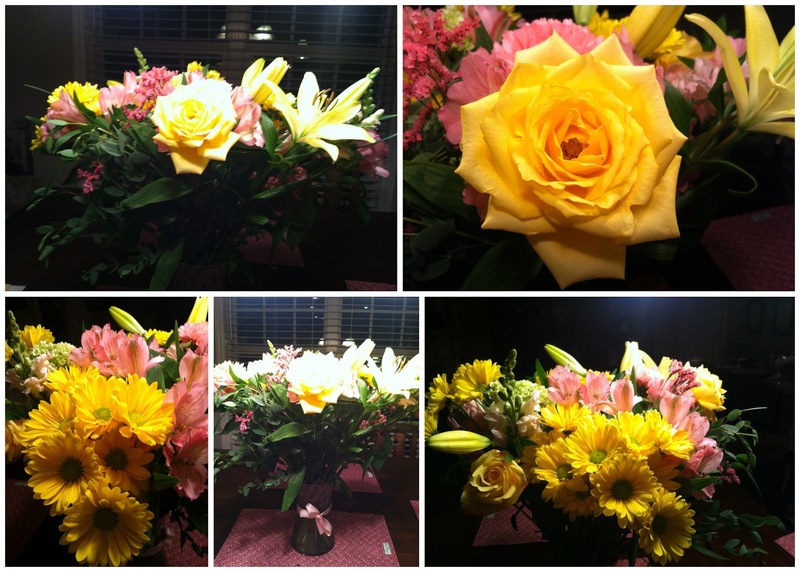 I love the pop of color it adds to my kitchen! It also tells me I need to get some more fruit! This is the last purchase I made there. 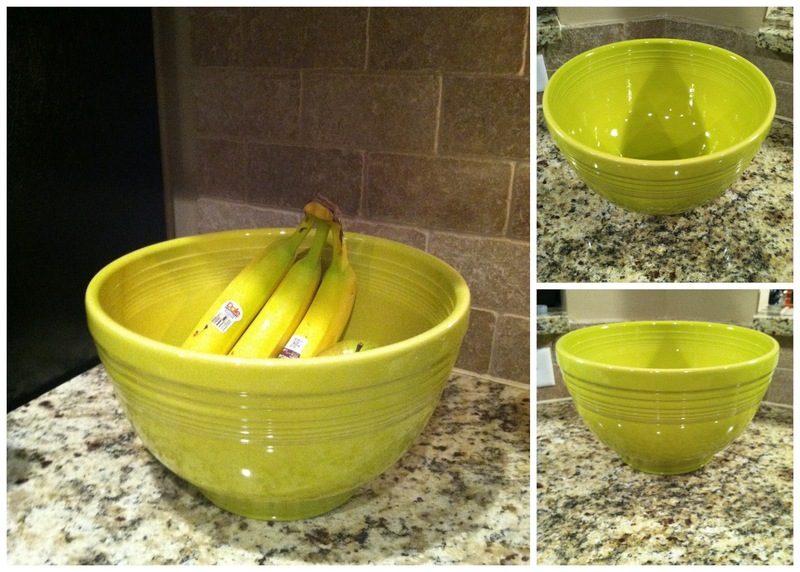 This bowl was marked down to a fab price because it's a VT color! They had a whole section of items that were maroon and orange they were clearancing out. I mean really, what were they thinking with the store being so close to WVU?! Oh well, love the shape/size of this guy, he'll be a nice addition! 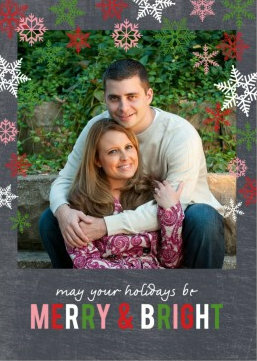 I'm finally getting ready to pack up all my Christmas decor but wanted to share a few last things from this season! 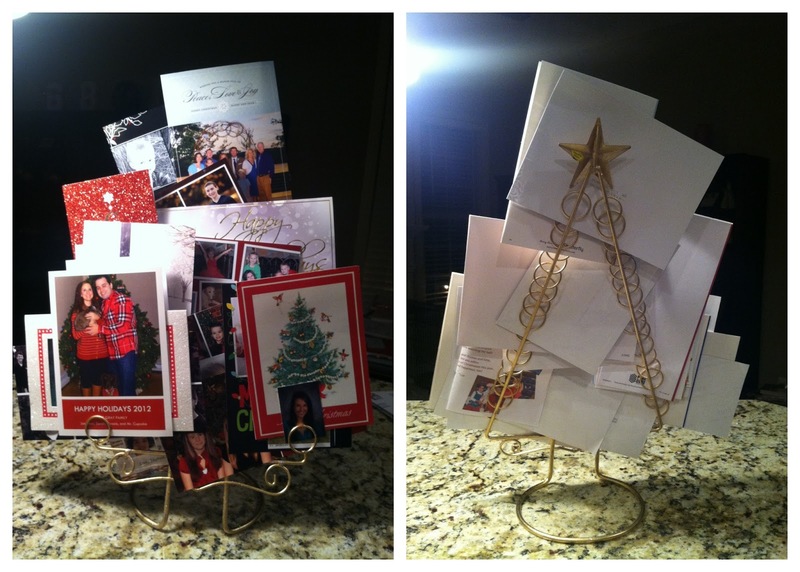 First, is how I have displayed our Christmas cards the last 2 years. I picked up this little Christmas tree holder at Ace Hardware of all places last year. I like seeing it "fill up" as the days go by in December. Only downside is that a lot of cute cards/pictures get covered up. 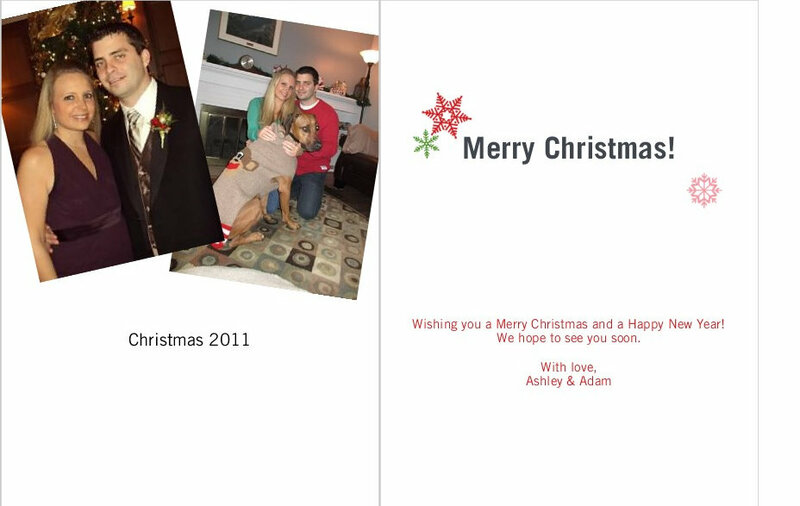 Here's a snapshot of our 2012 Christmas card: I used one of our engagement pics on the cover and some pictures from Christmas 2011 on the inside and back. No wasted space on our card!